My three-year-old daughter was at my parent’s house last weekend and she wanted to do a craft project. 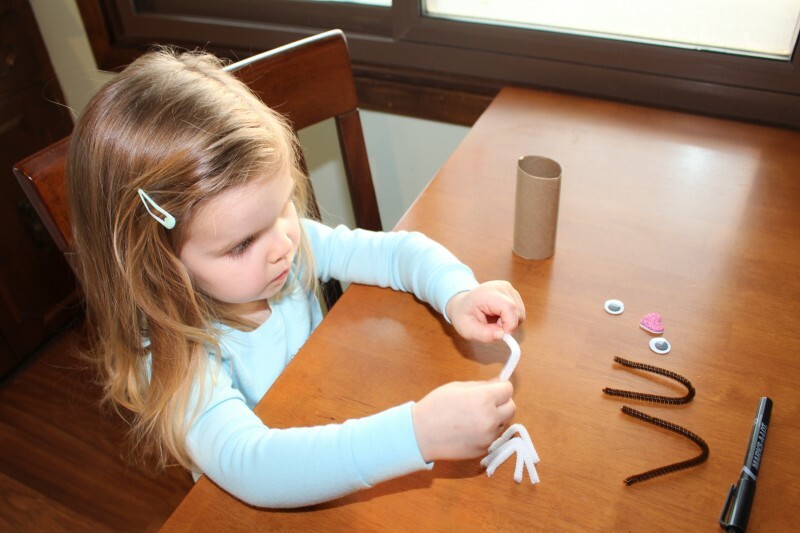 With only a few supplies, she was able to come up with a pretty cute Easter Bunny craft that my daughter adored. It was so quick and easy that when my daughter came home from my parents’ house, she and I made another bunny so that the first bunny had a friend. 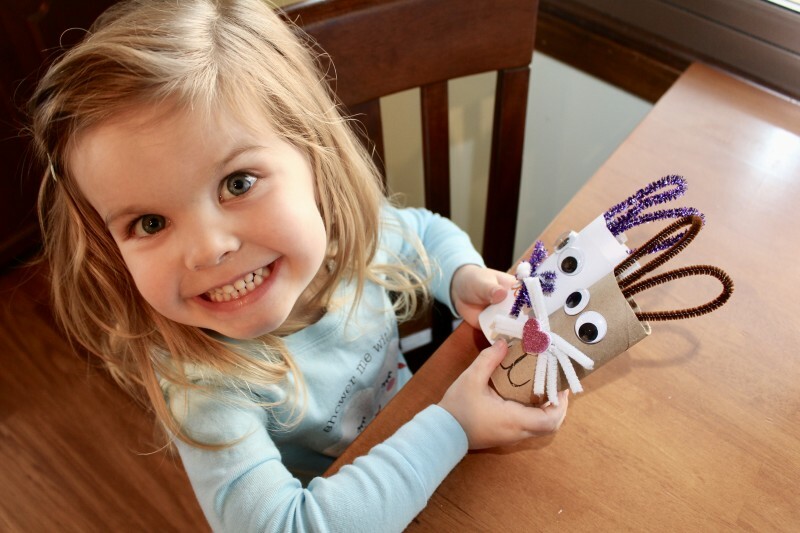 I’ll share with you how we did it, so you can make this craft with your child(ren) too! 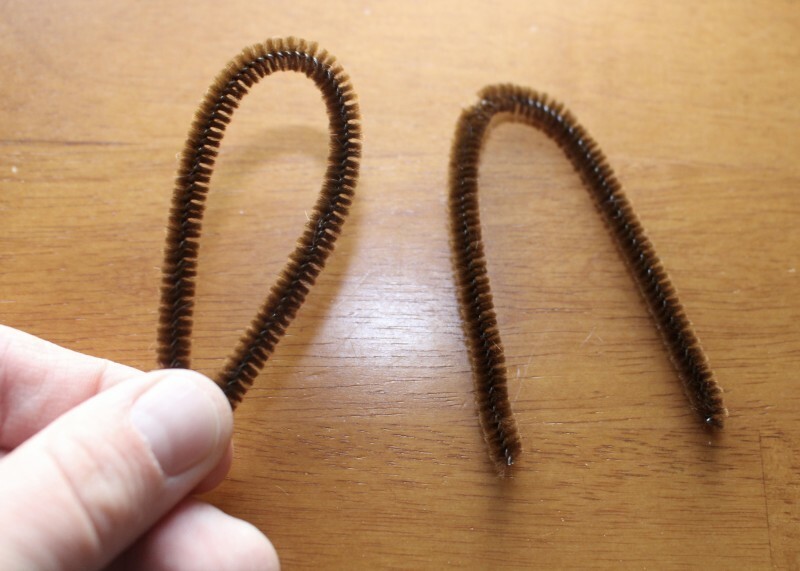 Step 1: Cut one of your pipe cleaners into two equal pieces and the other one into four equal pieces. The two pieces will become your bunny’s ears and the four other pieces will be bunny’s whiskers. 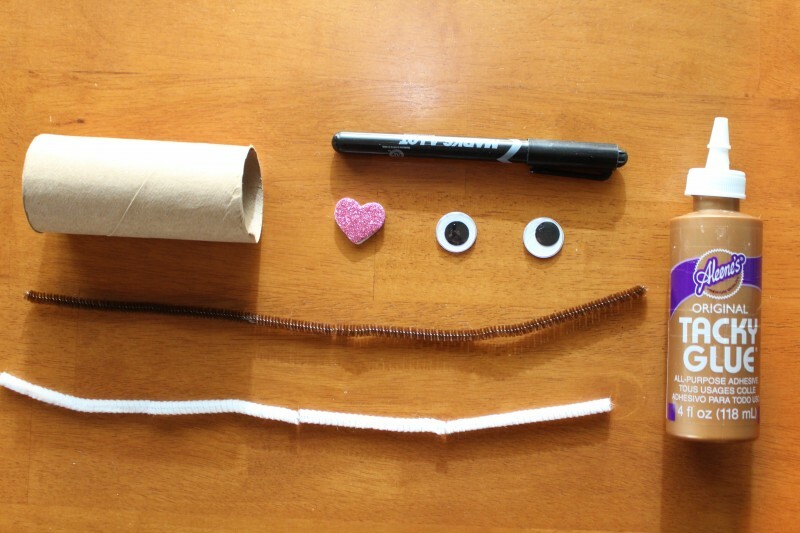 Step 2: Shape the ears and whiskers and apply them to the cardboard tube bunny using glue. 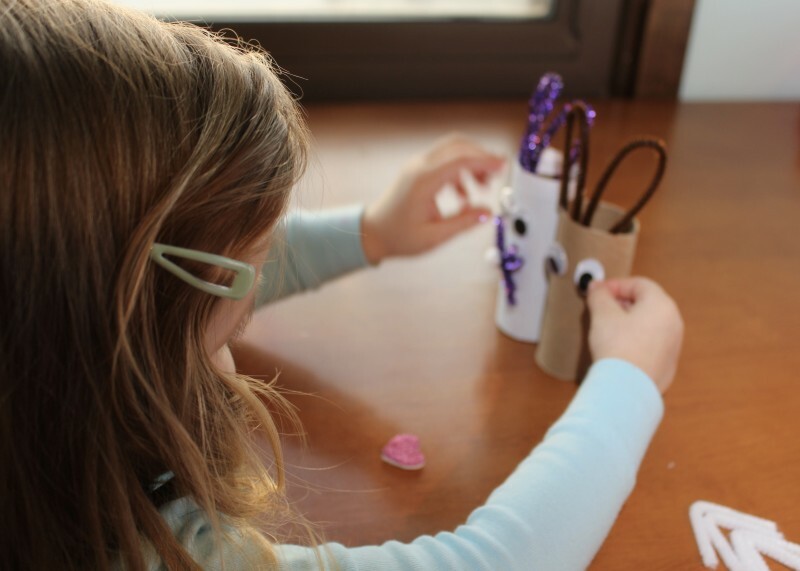 Step 3: Apply glue to the googy eyes and apply them to the cardboard tube bunny. Step 4: Glue bunny’s nose on top of his whiskers (either a pom pom like my mom used or foam shape like we used). Step 5: Draw bunny’s mouth on with a marker. That’s it! Your bunny is complete! So easy & so cute! 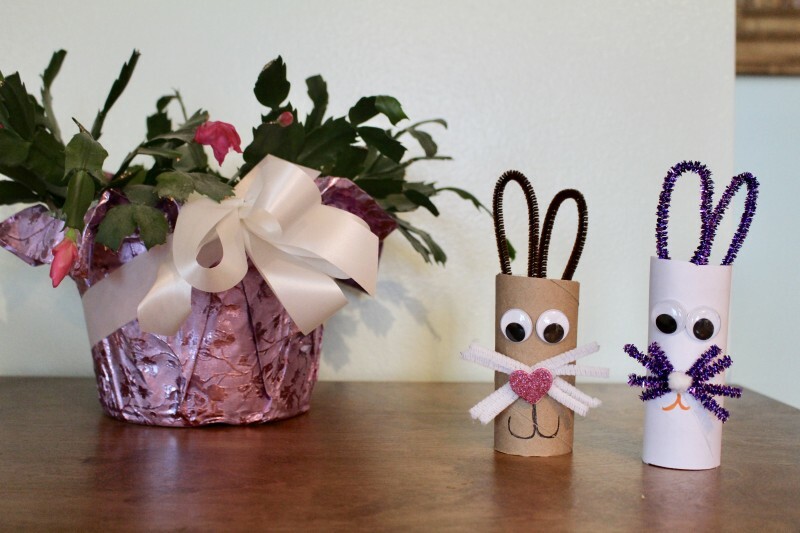 Note: You can optionally cover your cardboard tube in white or colored paper before you add the rest of the bunny’s features if you don’t want a cardboard colored bunny. Happy Easter Everyone! Let me know in the comments if you make a bunny or two of your own! 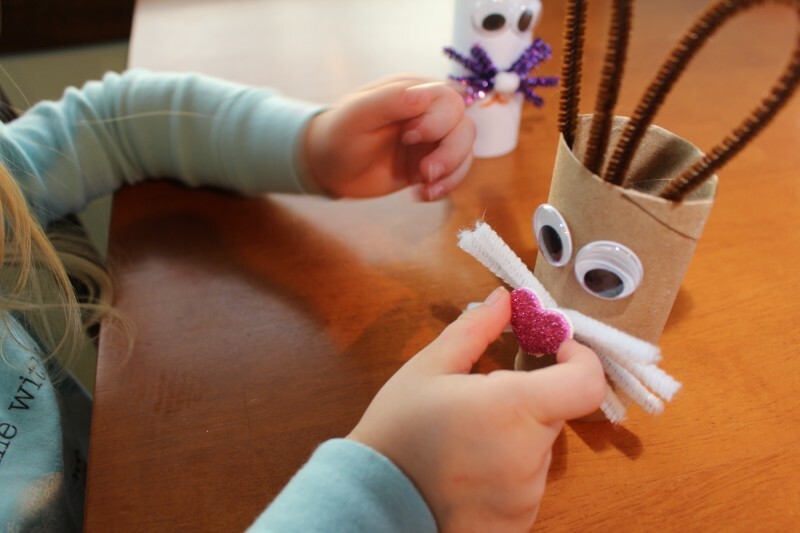 These are really cute and would be fun for my kids to make! 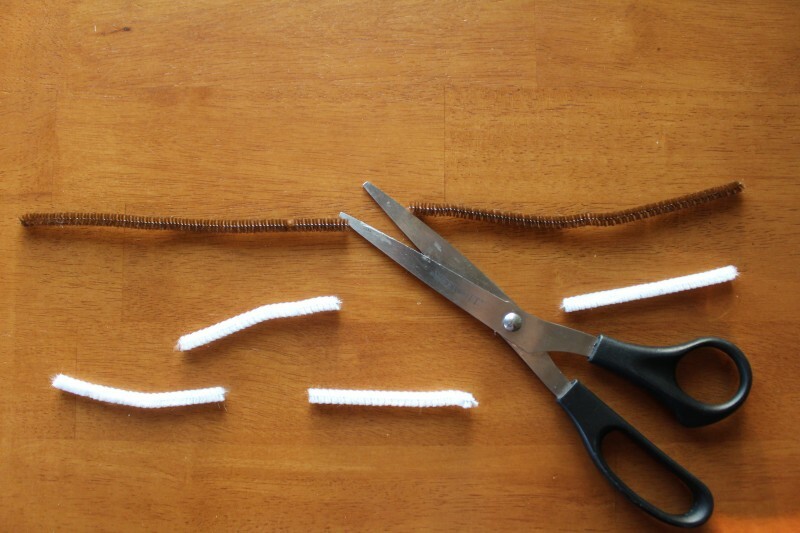 This is such a cute craft idea, and so easy too! I will definitely be making these with my three littles tomorrow. 🙂 Thank you so much for sharing! Such a cute an easy idea! !Definitely something my daughter and I can do together! I love how easy these are to make. The results are super adorable too! 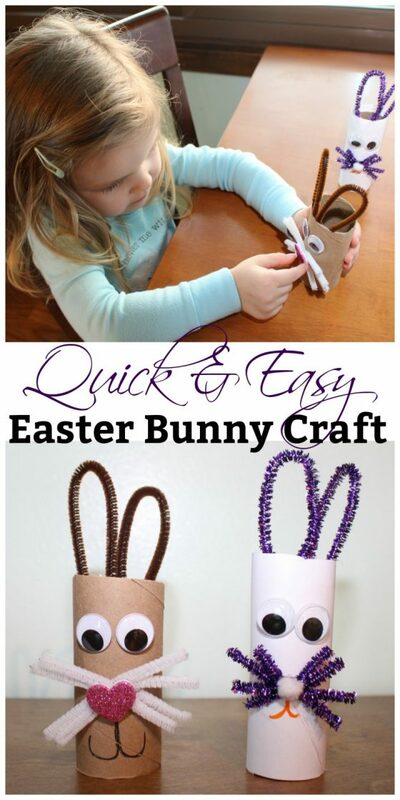 My grandchildren would have a lot of fun creating these cute bunnies.